The Tung Hwa boatyard in southern Taiwan has been building luxury yachts for decades. Fleming Yachts continue to be made by Tung Hwa and are sold through a network of dealers in the United States and Europe, Australia and New Zealand. The history of Tung Hwa dates from 1961-1983 Tony Fleming worked as the technical director of American Marine in Hong Kong. They were builders of the Grand Banks trawler yachts. 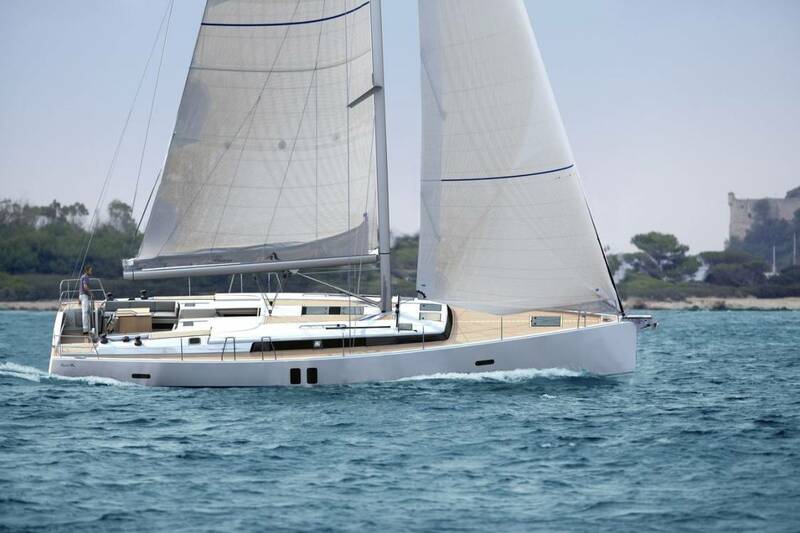 Flemming is mainly responsible for the development of these well-known yachts, later organising the company's new yard in Singapore and going on to become its General Manager. While at American Marine, Fleming also helped to develop the highly respected Alaskan series of pilothouse yachts. Sometime between 1983 and1985 Tony left American Marine with his business partner Anton Emmerton who worked with an American naval architect, Larry Drake based in San Diego, California. He went to develop an all-new pilothouse design. Tony and Anton visited Taiwan in the summer of 1985 to research the best boatyard to construct what would eventually become the Fleming 55. The Tung Hwa yard located near Kaohsiung was an obvious choice. Work on hull number one began in earnest. Although the first yacht mould was built for a 55-footer, the first boats were only 50-feet - having a shorter cockpit but otherwise very similar to the later 53's and 55's. In1985-2000 Starting with hull number 9, the length of the yacht was extended to 53-feet and then eventually to 55-feet. By 1997 over 100 Fleming 55s had been delivered, customer demand for a more extensive model this led to the development of the Fleming 75. The first Fleming 75 launched in 2000. During this time Tung Hwa yard devoted itself to exclusively building Flemings. In 1998, Tony Fleming's nephew, Adi Shard, a young graduate from England, joined the company and moved to Kaohsiung to work alongside his uncle. 2000-2006 the Fleming line continued to grow driven by customer demand. This development led to another new model - the Fleming 65. Launched in 2005 the hull number one was spoken for by Tony Flemming himself, as he slowly began to turn over his day-to-day operation of Fleming Yachts to a management team, this included his nephew, Adi Shard, his daughter, Nicky Fleming and, new member, Duncan Cowie. Tony named his new Fleming 65 Yacht, VENTURE, and embarked on many adventures. He refers to his travels as "voyages of personal discovery." By 2006, Fleming Yachts had handed over 170 Fleming 55s, 12 Fleming 75s and five 65s. In 2006-2011 with well over 200 Fleming Yachts cruising the world the Fleming brand being well established in the Marine industry. After appearing at the SIBS in England, Tony cruised Venturer II extensively in Europe and during the summer of 2010 completed a circumnavigation of Iceland. Tony went on to cruise extensively in the first Venture. During the summer of 2011, Tony sailed her to the Queen Charlotte Islands in the Pacific Northwest. 2011 also marked the 25th Anniversary of Fleming yachts this coincided with the publication of the excellent second edition of Fleming's magazine, Venturer. Described as "A Fleming Publication for Cruising Enthusiasts," it received rave reviews from Fleming owners all over the world. While the worldwide economy hurt sales, the Fleming brand enjoyed continued success. Interest remains active in both Australia and New Zealand. All three yacht models continued to benefit from evolutionary refinements with many new features introduced to new yachts. 2011-2014 Responding to requests from loyal Fleming owners and dealers, Fleming Yachts designed the Fleming 58 with everything the 55 had to offer plus, being 30% larger in displacement. Being a larger yacht, she had considerably more space than the 55. Getting the design right was a challenge, plans were drawn and redrawn. Even a model was tank built an tested then lengthy tooling process followed, construction of the first boat was completed in 2013. By mid-2014 Fleming had completed and shipped Hin 58-005 and had secured orders up to Hin58-011. Faith in the brand continues. Tony carried on with his travels, in 2012, he took Venture to Glacier Bay in Alaska. The following year went even further north all the way to Prince William Sound. 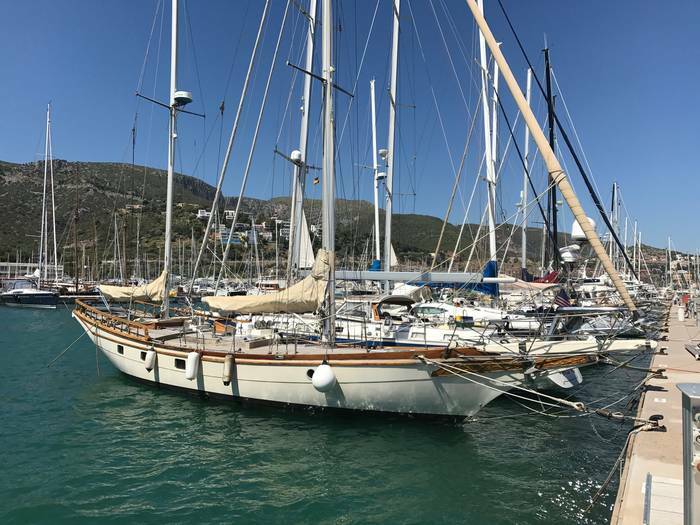 In 2014, Venture was back in Southern California, visiting the Channel Islands, before once again heading north to circumnavigate Vancouver Island. The story of Flemming continues a testament the yard in Taiwan who lovingly crafted the yachts.